The use of Arnica in a dog bite and why it is now time for a paradigm shift. Leon was bitten near the eye. 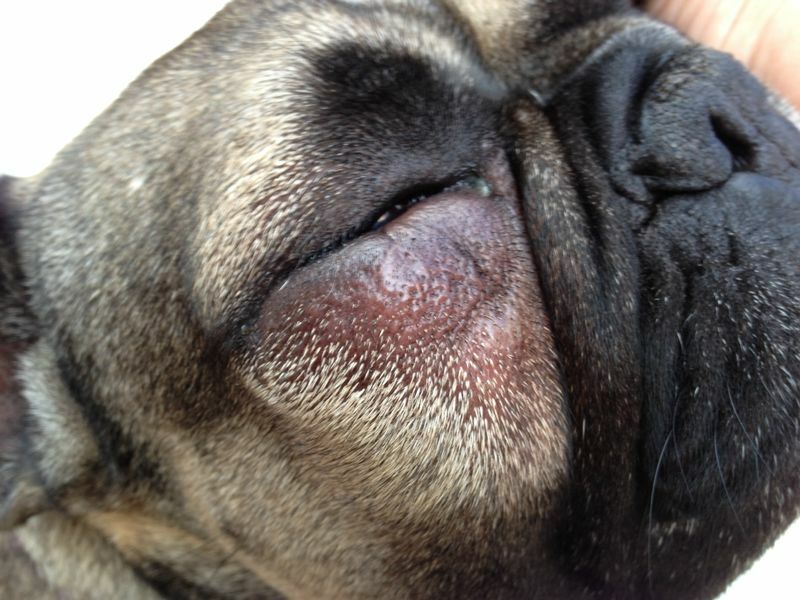 The bite caused an inflammation and infection of the tissues so that the inflammatory edema prevents Leon eye open. The symptoms are classic of an infection-inflammation: pain in the part, warmth, redness, edema. Leon is quite well despite the injury, he has a slight rise in temperature, has a slight decrease in appetite. The current paradigm of medical science more firmly established in the West suggests a type of treatment. There is a fixed protocol: the good veterinary practices suggest the use of an antibiotic in a more or less specific or broad spectrum. In these cases there is no time to make a bacteriological examination to wait for the specific susceptibility that will be indicative of an antibiotic sensitive to that type bacterium that has developed. This should be largely sufficient to counteract the infection caused by the bite. In these cases, you use often, if not always, associated with a anti-inflammatory drug to reduce the inflammatory effects caused by the infection. There are many antiifiammatori that can be administered, the most common are the Fans and the anti-inflammatory steroid. Also for the use of these drugs, there are a myriad of protocols. Usually within a few days the inflammation and infection disappear, leaving only a small scar that will lead to a complete cure. This happens if there were no further complications. This therapeutic model is a model borrowed from the reductionist thinking of Medical Science established. It ‘a model that considers the bacteria causing the infection, which works to pin a cause-effect determinism and for which there is a standardized protocol of action which they have been shown to be effective in laboratory tests (testing) . Apply to this care model is scientific and effective in large part caused by the bite symptoms disappear in a short time. It ‘s a fairly recent therapeutic application just think that the first antibiotic penicillin was put on the market in 1943, also anti-inflammatory therapy is recent, in fact the oldest has just turned 100 years old and is a derivative of salicylic acid synthesis, the famous aspirin. If you think your animal is treated like that do not reveal anything to worry about. But if we think in the totality of health interventions that any veterinary surgeon carries out on a daily basis around the world, including all other animal species from which the veterinary care of pet (pets) are a small part of the phenomenon assumes a significant size . Although there are about 10 million in Italy pet, this already considerable number must be added all the dogs and cats locked up in kennels and cats, pets are not counted even though I think very few, and the most remarkable number of animals of other species that are intended for human consumption (cattle, horses, pigs, chickens, turkeys, rabbits, quail, fish …) and those related to drug testing. The number of animals involved becomes enormous, so the number of treatments of which involved one of the first drugs are antibiotics, steroidal and non-steroidal anti-inflammatory drugs, hormonal treatments and then chemotherapy and anesthetics. Think of adding to this number also all drug treatments on men, those who do on their own at home, those who prescribe our doctor when we are well and nn all those that are used in hospitals and dispensed. Think of this in a global scale. The numbers become truly exorbitant. If these are the problems, it is clear that the model that had failed to resolve, or at least is making water from all sides. IT’S TIME TO SACRIFICE OUR SACRED COWS. IT’S TIME TO CHANGE SCIENTIFIC PARADIGM. Is not it time to erase the good that has the dominant scientific paradigm, but the time has come to share knowledge and to accept in our vision of the world and therefore of care, a new scientific model, or new scientific models. By stating this I ask myself at odds with the reductionist approach of science, science prevailing (or should I say pseudo-science), I am only saying that now is the time to stop and reflect together on the results that this model has given us. I was recently hospitalized for surgery and I felt so lucky to meet a good surgeon there has accompanied me throughout the course of the analyzes pre-operative preparation for surgery, performing the surgery himself and follow in the next few days. I recognize the value, as in my profession when we resort to surgery to temporarily or permanently solve a problem of health, or its use in preventive medicine or containment (eg, ovariectomy, orchiectomy, gastropexy …). The scientific model that supports it and thought (philosophy) does not provide for comparison because it rises to the truth, even denying the scientific evidence put forward by other forms of knowledge. A recent case of denial of evidence is the recent case of the MDB where the phenomenon has not even been considered and therefore not worthy of any scientific investigation. 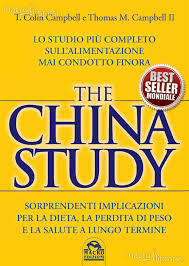 Or from what has been highlighted by the most comprehensive study on nutrition featured in The China Study by Colin Champbell. Yet there are scientific models that we propose a new way (again because I do not know, but really old because it places its own methodological bases that year more than 2000 years – traditional Chinese medicine, or more than 200 years – homeopathy). These approaches have also a therapeutic approach without the use of synthetic chemical drugs, offering an active and practical programs PREVENTIVE MEDICINE, which the predominant scientific model does not offer because they are too focused on the effect of treatment of disease rather than the its prevention. The type of management of the pet food industry with particular emphasis, the vaccination protocols exasperated without much logical sense, to the excessive medicalization and the perversion of the role of ethological species specific. By now, even the type of factory farming is an ecosystem that promotes the development and dissemination of infectious and parasitic diseases that affect the need for a systematic and medicalization push to ensure acceptable levels of productivity. Over time this situation has become increasingly critical investing many aspects of production with relapse and systemic implications no longer negligible. Not only in economic terms but also in terms of animal welfare, human health and animal health, environmental and bioethics. Despite the scientific knowledge this production system and therapeutic application requires a technological push well beyond the sustainability of the system itself and therefore must make use of pharmacological practice increasingly problematic (for example: drug-resistance). But despite these emergencies and scientific knowledge continually seeks to maintain the status quo. Although the legislation is trying to stem the criticism of the emergency system, the ‘rational drug application is made ​​problematic for cultural, economic and technological changes that are directly related to the development model of factory own production. 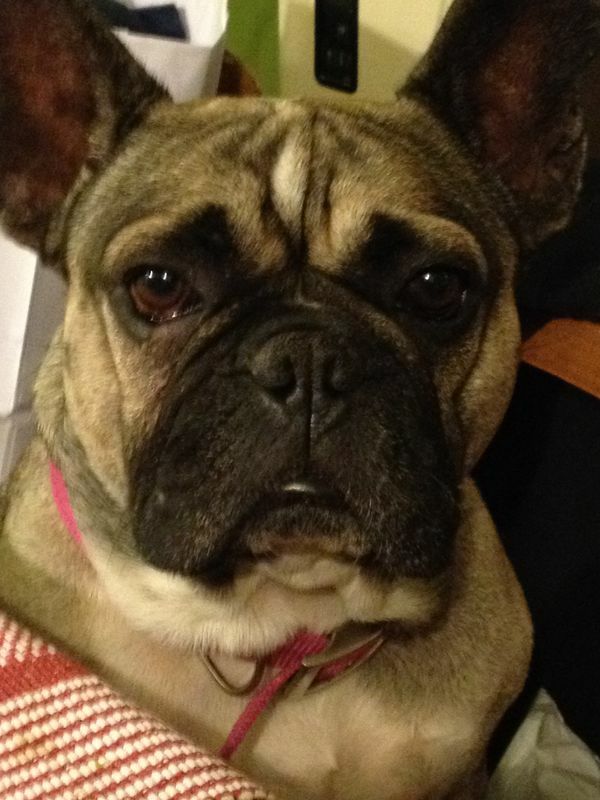 Significant in this connection is also the interest of the industry for the development of this type of medicalization in the field of pet animals. The situation creates a need for the industry to turn to other contexts in order to stem the crisis commodity procrastinating and evolutionary changes to the sustainability thesis generalized. The production of protein of animal origin, which can be attributed to the value of solving world hunger, has long highlighted the limits and problems regarding the nutritional value of human (in the Western world – see The China Study) to another without having solved, for now, issues related to global malnutrition (undernutrition and overnutrition). The environmental impacts and externalities should also be valued consistently in the calculation of sustainable development. Now these are issues are more controversial. Pharmaceutical lobby and a model of thought impregnating both from the cultural point of view that science, a politics inadequate and in default, in fact, a way to prevent the change, called in all the World Forum on climate change and ecology. While critical of the prevailing model emerge that speak of the environmental and health disproportionate use of drugs and the inadequacy of the measures to be taken because the paradigm has no solutions to its criticiatà and is unable or unwilling to look to other forms of knowledge the other side are preparing to sell more and more drugs, no one knows to cope with the current economic crisis or thing: the free transfer of the drug by health professionals – medical or veterinary purposes – it could be a form of containment although we know that comparaggio with forms of go hand in hand with professional ethics and concern with respect to drug resistance, not even understand how anyone can claim to go to the pharmacy to buy a box with an exceptional number of tablets to be held in the home for just in case because you never know … knowing that now there are more pharmacies and bars that are open until late at night most of the clubs. Yet in our homes, tucked in drawers or collected in the boxes we have dedicated a considerable number of human and veterinary drugs that have expired or are about to expire with no one to care, and they often end up in the trash returning to normal in the chain that contributes to drug resistance. It’s time for a paradigm shift. Scientific evidence has shown that other scientific models are effective, that the best cure of diseases is to prevent them. The prevailing science is strongly myopic in this sense. In the field of pet, which I work as a professional, do not know and even prevents the change in paradigm nutritional food continuing to perpetuate and encourage the use of junk food. It often happens that many colleagues to whom clients turn to acute problems criticize heavily, absurd and without a scientific basis for the nutritional model which implemented in my patients through the use of fresh food and raw. The status quo is maintained more or less conscious (sigh!) That the veterinary institutions: was recently published an article about the dangers of raw food for both the animal and human health, with an emphasis on the possible spread of bacteria in the case of improper storage (“FDA’s Advice: Know the Risks of Feeding Raw Foods to Your Pets” FDA Consumer Update, June 30, 2014), as if the dogs do not leccassero all kinds of crap when we accompany them on the walk. By doing this simple and trivial consideration, we had to give a relative weight to the considerations which arrives this article, or decide to close our dog inside dog for the rest of his life. Another touchy subject for which disputes are resolved by now, but there are still some real bulwarks unscientific anachronistic as real preconceived positions, affecting vaccination protocols. Here, too, confusion reigns and come to think that it is voluntarily built: now all the manuals and books of immunology veterianria recommend at least the first vaccination after 12 weeks old and a booster at least every three years and if not with greater range, instead the leaflets of vaccines recommend its annual intervention, supported by the spread of specialized articles in trade magazines a month support the routine vaccination three to five years, and a month later publish an article that supports the annual vaccination. Many studies contradict each other and this has happened and is happening throughout scientific history. We know how those things for which a liitle bit ‘more than common sense, it is sufficient to observe the evidence and letting even little’ cosmic energy to change the stale air that is often confusing. Or simply accept the integration of knowledge. Leon was treated for 3 consecutive days with Arnica 200C 3 granules dissolved in a little water 2 times a day. Arnica is a homeopathic remedy whose dilution ultramolecular is well beyond Avogadro’s number, so it conveys a chemical molecule but a physical message. Homeopathic remedies generally do not have any toxicity, no harm and do not affect residual problems in the environmental pollution. Drugs are safe because they produced according to GMP, good manufacturing practices and are especially effective. Not to mention cost-effectiveness in their use. In a few words are environmentally friendly. Since the first observations in the pioneering field of homeopathic and according to some studies and experiments of today’s basic research seems to be possible to transmit electromagnetic information to the water. The same recent studies (2009) of Mountagner of bacterial ultrafiltrates detect electromagnetic frequencies of DNA in solutions that do not contain more bacteria per se. So it is theoretically possible to transmit information to the water. The same homeopathy is based on a principle of this type. Dilution according to homeopathic methods do not know the exact electromagnetic frequencies but are known and can be determined in laboratory physical and chemical characteristics (pH, the heat of mixing, thermo luminescence (Luys Ray et al. ), Conductivity, evolution temporal variations of physico-chemical characteristics (Elia – E. Del Giudice – G.Preparata). I agree that the medicine man and animals is only one transverse and ecosystem health. The One Health concept: “is a worldwide strategy for expanding interdisciplinary collaborations and communications in all aspects of health care for humans, animals and the environment “. To treat animals like humans then we should also cover the concept of health as understood by the WHO which states as follows: “Health is a state of complete physical, mental and social well being and not merely the absence of disease.” So that the animals could live animals, consistent with their own characteristics and ethological needs, starting from power for a switch from immunization and get to the medicalization, as well as the dignity of sentient beings. Defend to the bitter end these levels of medicalization to maintain this state of affairs is untenable now trivially. So rather than oppose the changes would be better to be the makers of changes. ← Sull’utilizzo di Arnica nel morso di un cane e del perchè è ormai opportuno un cambiamento di paradigma rispetto alla Scienza predominante.